SWIMLAB is a fully licensed provider of Total Immersion™ swimming programs in Australia. 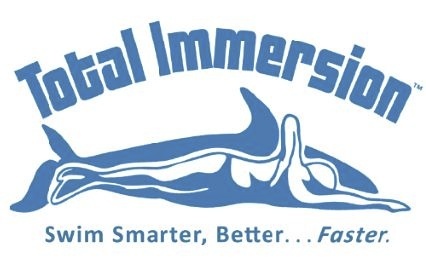 Total Immersion™ is a unique swimming education program, that teaches swimmers of all levels the secret of effortless swimming. Our courses help you understand what good swimming looks and feels like, and helps you to swim with ease and efficiency. Learn the foundational skills and drills that will transform your freestyle; address balance, core stability, streamlining. propulsion and breathing. Achieve Pace Mastery by experimenting with different combinations of SPL (stroke count) and Tempo, that lead to easy speed. Every swimmer – whether novice or experienced (even former Olympians!) – begins by learning Balance and Core Stability. These give you a sense of being ‘weightless’ in the water. With Total Immersion™, first you learn to work with with – instead of fighting – gravity to create an ‘effortlessly horizontal’ position from head to toe. Then we teach you to stabilise your core body so you’re confident and calm and in control of your position in the water when swimming. Because water is 1000 times denser than air, water resistance (or drag) is the main factor limiting how far or fast we swim. Fish and aquatic mammals are naturally streamlined. For human swimmers it’s a learned skill. In traditional swimming technique, the arms and legs do the lion’s share of the work, while the core body is passive baggage. We invert that dynamic initiating all movement, power, and rhythm in the core – the most naturally powerful part of the body. It’s obvious that breathing is both the most essential and most challenging of all skills. So where does breathing fit into the Total Immersion™ skill sequence? Actually, development of seamless breathing skill is integral to every step. When you are comfortable and in control of your body, breathing is far easier. When you maintain a long, sleek shape while breathing, you conserve both momentum and power. And finally, it’s far easier to get that breath when the energy for moving your mouth to the air comes from core rotation.